Joris Voorn sits at the epicenter of the Dutch electronic music scene, the most renowned and instantly recognisable artist from Holland, representing underground house and techno on a wider global stage. For a country with a population of just seventeen million Holland’s contribution to world electronic music is unsurpassed. While house and techno trace their roots to the marginal and mainly black American underground, its taken a relatively small country in the European lowlands to flip electronic music on its head and turn it into the global powerhouse it is today. In 2016 few could deny that Amsterdam is the global capital of electronic music and few artists embody the melting pot of musical influences that define the city’s underground techno scene more than Joris Voorn. Joris Voorn is the embodiment of the modern-art and tech-savvy touring DJ, with both feet planted in firmly in the underground techno world, but a keen eye for contemporary art, photography and a long-standing love of architecture (you only need to check his Instagram or EP covers to see where this all comes together). Born in the Dutch town of Tilburg, the son of a composer and a music teacher, Joris Voorn gained international recognition with his breakout ‘Muted Trax EP’ on Keynote which was followed quickly by his universally acclaimed ‘Lost Memories EP’ on Sino the following year. Its follow-up ‘Lost Memories Part 2’ in 2004 included the standout track ‘Incident’ which became an immediate and firm fixture in the sets of many of his now-peers including Carl Cox, Derrick May and Laurent Garnier and was one of the standout tunes of that summer at clubs everywhere from The Sub Club to Circo Loco. Since then Joris Voorn has gone on to release three hugely critically acclaimed artist albums, ‘Future History’ (released on on Sino in 2004), ‘From A Deep Place’ (released on Green in 2007) and the most recent ‘Nobody Knows’ voted electronic album of the year 2014 by Billboard Magazine in the US. He has backed these up with dearly loved mix compilations for Belgian techno bastion Fuse, Australia’s Balance series and most recently London underground superclub fabric. In 2005 Joris Voorn founded the founded ‘Green’ the first of two labels which he runs with long-time collaborator Edwin Oosterwal. This has provided a platform for Joris’ two most recent albums, plus some of his biggest hits including 2013’s ‘Ringo’ and his 2016’s ‘Looks Fake Obviously’. The second label ‘Rejected’ has given him an outlet for more straight-up house tracks aimed squarely at the dancefloor such his various installments in the ‘Dusty House’ series of Eps plus somewhere to release tracks from his peers such as Deetron, Anton Pieete, Ian Pooley and Steve Rachmad. These two labels represent the opposing ends of the ‘Spectrum’ of underground music that Joris Voorn is proud to champion. In fact, this word is so synonymous with the wide range of underground musical styles that inspire and inform both Joris’ DJing and production work that he decided to call his forthcoming radio show and event series ‘Spectrum’, allowing him to fully explore the full reach of his extensive musical tastes and share them with a wider audience. 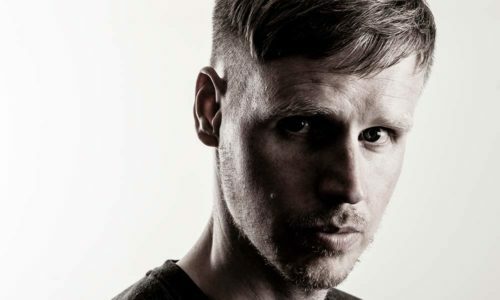 Throughout the years Ibiza has always played an active part in Joris’ summer touring diary, from early gigs at We Love on Sundays at Space, through to his more recent La Familia nights at Ushuaia with Nic Fancuilli, in 2016 Joris Voorn has in the enviable position of holding not one but two key residencies in Ibiza, at ANTS at Ushaia alongside the likes of Maya Janes Coles and Kolsch, and El Row at Space alongside Eats Everything, Paco Osuna and Groove Armada. Outside of Ibiza, Joris is a regular fixture at all of the key clubs and festivals on the global underground circuit performing multiple weekly shows at events across Europe, Japan, Hong Kong, China, Singapore, Australia, Russia, Brazil, Colombia, Israel, Detroit, Chicago and New York. These include clubbing institutions such as fabric (London), Output (New York), Womb (Tokyo), Fuse (Brussels), Faust (Paris), Warehouse Project (Mancheser), elrow (Barcelona) fabrik (Madrid), Zouk (Singapore) and Spazio 900 (Rome). As far as festivals are concerned Joris has a long-running relationship with both the Awakenings and Strafwerk/Digital events series in his native Holland while further afield he can be found playing at festivals such as Parklife (Manchester), Movement (Detroit) Tobacco Dock (London), Ultra (Miami), Mysterylands (Amsterdam), Hideout (Croatia), Electric Zoo (New York) and BPM (Mexico).